Best bed placement. Smart color combinations. An abundance-attracting kitchen. Scents that make sense. All of these (and much more!) are Feng Shui tools for making your Airbnb a place that guests will LOVE, as well as a system for your success. Use basic and effective Feng Shui tools to help Boost the value of your Airbnb. Learn about best bed placement, best colors, and helpful tips to attract interest and achieve satisfaction with your guests. Use Classical Feng Shui to help SuperCharge the value of your Airbnb. Remedy your home with Classical Feng Shui tools. Also implement basic Feng Shui tools like best bed placement, best colors, and helpful tips to attract interest and achieve satisfaction with your guests. Feng Shui is the science of organising a space so that is the most supportive it can be! Have you ever walked into a space and “just didn’t like it?” Or, alternatively, have you ever LOVED a space, but couldn’t quite put your finger on what it is that makes it so great? Feng Shui looks at simple, yet incredibly impactful aspects of a space to determine how it affects the person in it. Simple things like the color of the bedsheets, or the artwork in the living room, or whether your kitchen knives are exposed or tucked away in a drawer—all have a huge impact on how someone feels in their Airbnb! So, do I Boost or Supercharge? Boosting your Airbnb will give you all the basic Feng Shui tools for success in your Airbnb home. We cover basic rules for the bedroom, bathroom, kitchen, living room, dining area, and even the entrance. Using photographs you send me of your Airbnb, I’ll outline what specifically is working for you, what is not, and what you can improve in terms of artwork, color, design, furniture placement, and even special enhancers that will make your Airbnb great. For example, did you know that how you design your bathroom can either enhance or drain your money? We’ll cover all these things so that each room works for you. Supercharging your Airbnb is for those who have the same recurring problems with their Airbnb business. We’ll cover everything in the Boost package, but will SuperCharge your listing by adding Classical Feng Shui remedies. Did you know that each home has it’s own fingerprint? Just like every person has their own astrological chart, each home has it’s own specific personality. Some Airbnbs might attract great guests, but income is just not good. Vice versa, the Airbnb might have great cash flow, but communication with guests is always tricky. This could be due to different strengths and weaknesses of the home. In SuperCharging your Airbnb, I’ll give you a Classical Feng Shui remedy chart which will help to boost strengths and neutralise weaknesses. This chart will divide your home into 8 sections where you’ll add one of the 5 Feng Shui elements which will bring your home into balance and harmony. Boost Or SuperCharge : Schedule your Boost or SuperCharge package. These consultations are virtual, so can be done from anywhere in the world! Send Your Info : I’ll email you a list of info I’ll need to complete your review. This includes a Google Maps exact location, photographs of interior and exterior, a floorplan, and a few questions about what's been going on with your Airbnb - What's good, What's bad, What can be improved? Review Your Space : During our Skype or Zoom meeting, we'll review your Airbnb based on the information you sent. I'll go through what is working and what can be improved using Feng Shui. Implement Feng Shui Remedies : Apply the tools outlined in your Feng Shui report. Boost! 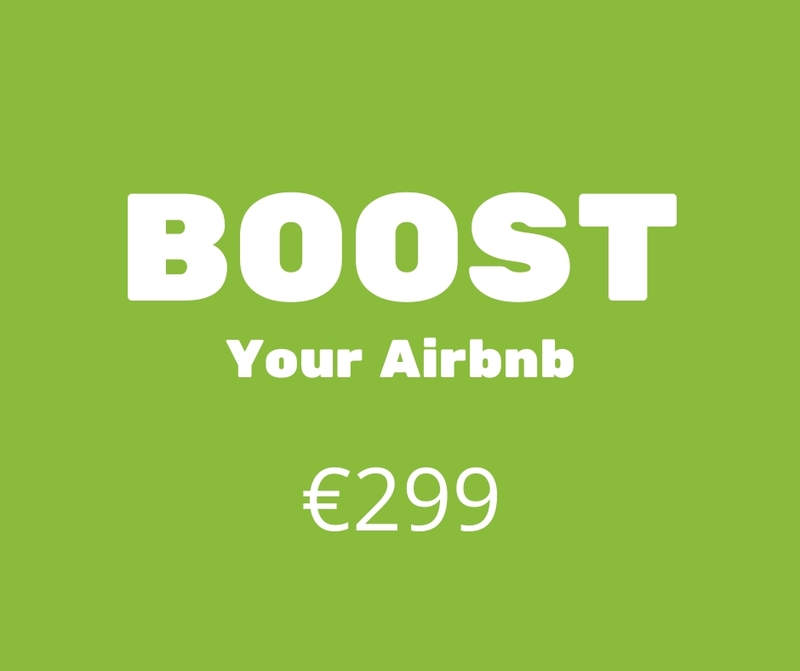 : Increase your Airbnb’s value, earn more money, have happier guests.